In January 2013, they bought the naming rights for Grauman's Chinese Theatre for $5 million and the theater was renamed TCL Chinese Theater. In 2007, they became the first mainland Chinese company to establish a plant in Juarez, Mexico, with the aim of manufacturing TVs for the U.S. market. In hindsight, their expansion proved premature as TCL struggled to establish a brand presence in America. For a while the plant successfully manufactured TVs for LG and Philips but eventually, TCL’s global focus changed and they contacted us with a view to asset recovery. We were impressed with the plant's capabilities and potential. In March 2013, we acquired it, re-tooling to focus on the automotive market. Subsequently, Tekmart Integrated Manufacturing Services (TIMS) has evolved into a versatile 650,000 sq. 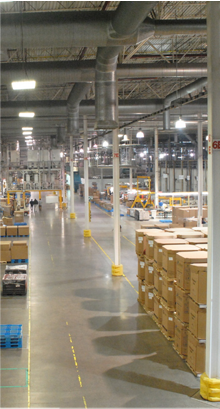 ft. facility, supplying components for the automotive, healthcare, consumer electronics and white goods industries.